Our range of products include flanged plastic ball valve, polypropylene flanged ball valves and plastic flanged ball valve. We are actively committed to offering a wide array of excellent quality Flanged Plastic Ball Valve. We offer an exclusive range of Polypropylene Flanged Ball Valves. 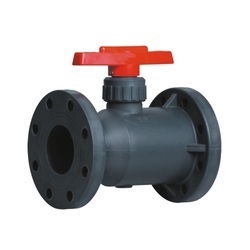 These Polypropylene Flanged Ball Valves are offered by us in various specifications. We offer Plastic Flanged Ball Valve to the clientele. This Plastic Flanged Ball Valve is offered by us in various sizes and dimensions.